Those those who never read the bible they will be void of the knowledge of what is going to happen in the last days. One of the warnings God left us as a gage that would show us we are in those last days is Jews from around the world would start to go back to their Mother Land Israel. Below you will see what the Lord said. “‘The days are coming,’ declares the Lord, ‘when I will bring my people Israel and Judah back from captivity and restore them to the land I gave their forefathers to possess,’ says the Lord” (Jeremiah 30:3). “Do not be afraid, for I am with you; I will bring your children from the east and gather you from the west. I will say to the north, ‘Give them up!’ and to the south, ‘Do not hold them back.’ Bring my sons from afar and my daughters from the ends of the earth—everyone who is called by my name, whom I created for my glory, whom I formed and made” (Isaiah 43:5-7). This news report informed us of the following. "Shavei Israel has brought over 3,500 Bnei Menashe to Israel, helping them through the difficult process of becoming acclimated and settled in a new country. There are still another 7,000 Bnei Menashe remaining in India." Since Israel was born against as a nation on May 14, 1948 Jews living outside of Israel have begun to return to Israel. They have come from the East, West, North, and South just as the Lord warned us! You are going to hear more news from Israel in the very near future concerning more Jews returning to Israel. One of the reasons Jews are moving to Israel is the rise of anti-semitic attacks against Jews. Below you will find just a few of the reports talking about these anti-semitic attacks. Jews believe they will have a better life in Israel as they will feel safe living among their fellow Israeli Brothers and Sisters and a government that truly wants them in their nation. Take a look at what Jesus Christ told the Apostle Paul concerning the call for peace and safety. “But of the times and the seasons, brethren, ye have no need that I write unto you. For yourselves know perfectly that the day of the Lord so cometh as a thief in the night. For when they shall say, Peace and safety; then sudden destruction cometh upon them, as travail upon a woman with child; and they shall not escape” (1 Thessalonians 5:1-3). I have covered the Middle East peace process for years because 1 Thessalonians 5:1-3 is a warning about the last days. The most important part of this current news is what Abbas wants to happen which in my view is very unlikely to take place. He said he wanted to go back to the June 4  borders. Do you know what he is asking? He is telling Israel he wants the control of Jerusalem again as was before the 1967 war against Israel. The Prime Minister of Israel has stated countless times he is never going to give up East Jerusalem! Now let us also consider the fact that nations are now recognizing East Jerusalem as the official capital of Israel which belongs to the Jews. So much for any peace talks break through! The peace process will go no where and this is why we are shown that while they are talking peace and safety war will break out. Paul didn't tell us peace would come as a result of such peace talks but, sudden destruction which could only mean another war against Israel. Everyone leader who has been involved in the peace talks have come to the same wall! I am not talking about the wailing wall in East Jerusalem but, the ownership of East Jerusalem where the temple mount is. You see the peace talks are also tied in to another major prophecy. Take a look at this prophecy below. As long as the nations have been trying to work out some type of peace between the Jews and Abbas Jerusalem has in fact become a burdensome stone exactly as Jesus warned us. The ownership of Jerusalem has been a burden way before Abbas became the leader of the Palestinians and, it will continue to be so until the sudden destruction comes. These peace talks also brings us to another issue which is also a major prophecy for the last days that includes the Antichrist. Let's take a look at what we are told in Daniel 9:27. "27 And he shall confirm the covenant with many for one week: and in the midst of the week he shall cause the sacrifice and the oblation to cease, and for the overspreading of abominations he shall make it desolate, even until the consummation, and that determined shall be poured upon the desolate." What we know is there will be a peace coming! A covenant is going to happen. However, the current peace and safety talks will not bring on the Daniel 9:27 covenant. Many people think 1 Thessalonians 5:1-3 and what we read in Daniel's warning to be the same event and they are not. The 1 Thessalonians prophecy takes place before the rise of the Antichrist and we see sudden destruction taking place while they are still talking peace. In the Daniel 9:27 warning once the covenant is made there is no sudden destruction. Fact is there will be what appears to be a 3 and a half years of peace. Take a look at the photo below. Notice the yellow beginning of the tribulation arrow. This is where the Antichrist will make that covenant and there will pass 3 1/2 years and, the Antichrist will break that covenant. The 1 Thessalonians 5:1-3 prophecy will bring on immediate war while they are talking not bring on peace for 3 1/2 years then war. There are many pastors who believe the warning to Paul was the Psalm 83 war that has not taken place yet. The Palestinians are named in that Psalm war against Israel. So at this point in our generation we have seen a host of different prophecies fulfilled already which tells us the last prophecies not fulfilled yet are on their way. Currently the tensions between Israel and the Palestinians are heating up. They are no were near any peace. I quote from a report yesterday. "In a joint statement, Gazan factions claimed responsibility on Wednesday for at least 13 rockets fired into Israel on Tuesday evening and Wednesday morning." “We claim responsibility for attacking a number of Zionist military outposts around the Gaza border in response to an attack on a civilian vehicle,” the factions stated, referring to an IDF strike on a Hamas terrorist’s vehicle late Tuesday night." So far, everything we were warned about by God is on course right now. The Arabs are not going to wait forever for some type of peace between the PLO and Israel which will mean the war planned in Psalm 83 is not that far off. June 23, 2018 What did Jesus Say are you kidding me? June 20 2018 Moving at light speed toward Christ! How fast are things changing in our lives? I came across the follow report and I wanted to share what was stated as this information really shows how fast we are moving toward the return of Jesus Christ. Dr. David Jeremiah had a sermon series some years ago with this title. Like me, he noticed aberrations in the culture and in the church and stated he just didn't think he would live to see them. I've come up with my own list as 2017 winds down. It has been an historic year to say the least. Things aren't falling apart, they are falling into place. The earth reeling in an apocalyptic manner, yet most going about business as usual -- eating, drinking, and enjoying life. Every natural disaster preceded by words such as "unprecedented", "history-making", or "of biblical proportion." A hurricane (Irma) so strong that it was measured on a device that tracks earthquakes. A major U.S. newspaper say that someday "everyone will get willingly micro-chipped." Planned Parenthood team up with Satanists and cooperate in their mutual evil. Some people heed the warning signs of impending natural disasters but scoff at the ultimate warnings that Jesus is returning soon and you must be ready. America seriously talk about the possibility of an EMP attack and Hawaii warn of a nuclear attack by North Korea. Over 40% of Americans say they would prefer socialism over capitalism. Actors in Central Park simulate the assassination of a U.S. President. Satanic outfits be granted IRS tax-exempt status while Christians and conservatives are overlooked and ignored. A leader of the Catholic Church in South America state that Pope Francis is paving the way for the Antichrist. A major U.S. newspaper -- The Washington Post -- call Satan good and call him a great representation of secularism. A discussion of womb transplants for men. Preschoolers being lectured by a demonic horned creature that transgenderism is normal. The "powertainment industry" (Hollywood) so weakened due to scandals that its influence is diminishing as people boycott films in disgust. The Boy Scouts allowing girls to join the organization. Word of a revival in North Korea. The son of a Hamas leader, who is now a Christian, tell the United Nations that Palestinian leaders are a bunch of terrorists. Rick Warren state that he hoped his partnership with a Catholic leader would become the ecumenical model for the entire world. K - 12 U.S. educators demonizing Israel and lauding Islam. A Democrat Party leader -- Donna Brazille -- blow the whistle on Democrat Party corruption. Politicians usually circle the wagons and protect their own. The return of the bubonic plague. A prominent secular talk show host said we live in interesting times -- too interesting. He longs to go back to the 1950s. He doesn't understand that the last days would be characterized by a departure from the normal and an acceleration of the aberrant. He can't grasp the fact that the Bible predicted a lot of what our headlines state today. I talk about our troubled times with Dr. Dave Reagan and Nathan Jones on "Christ in Prophecy TV" November 12 and 26. Find the first program below. Learn more at www.lamblion.com. We read every e-mail but due to volume, cannot reply to all e-mails. 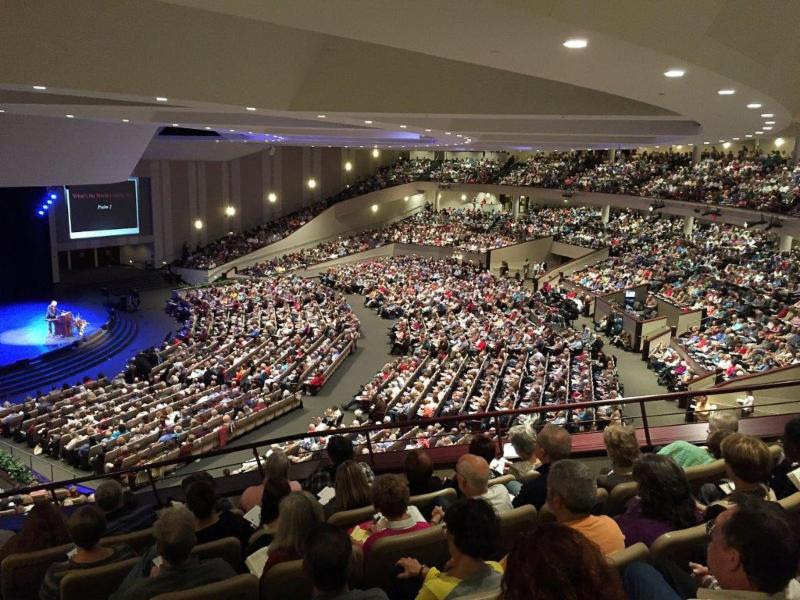 Over 6,200 filled our mega-church beyond capacity at "Understanding the Times 2017" on October 7. Find a pictorial review here and an opportunity to order CDs and DVDs. You can view Amir Tsarfati's first message, "Where is America in Bible Prophecy?" on YouTube here. Find complete syndication for "Understanding the Times" radio on 830 radio outlets here. They include American Family Radio Network, CSN Network, HOPE-FM Network, Bott Radio Network, The Psalm FM Network, Sirius Satellite Network, The Word FM, the Life FM Network, The Penfold Network, Salem Communications, OnePlace.com, and individual radio stations. Last November I wrote an article listing a number of things I didn't think I would see in my lifetime. Prophecy Update even turned it into a short videothat almost 200,000 people have viewed. Now six months later, I've come up with another list of unbelievable happenings that I never thought I would live to see. Sure, we live in crazy times. A lot of things the Bible predicted are now happening at break-neck speed but it still leaves me speechless. Churches would not just recognize the Islamic holiday known as Ramadan, they would join in on the "celebration" while hundreds of innocents were being killed at the very same time. Women's sporting activities would be curtailed because transgenders can now participate as women even though they are males. 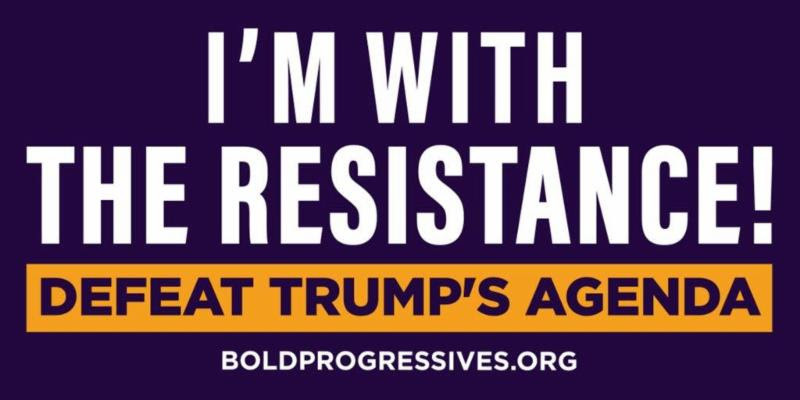 The WWII anti-Nazi term "the resistance" would be applied to those opposed to a U.S. President -- Donald Trump. Lucifer would get his own TV show, first on the Fox Network and now on Netflix. In fact, he is glorified as a good guy -- handsome, charming, and funny. Some day Christ-rejecters won't be laughing. 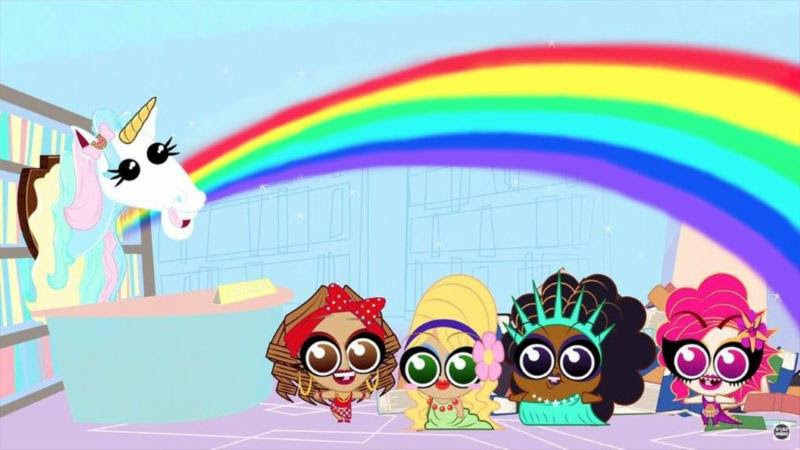 Netflix will also have an animated drag queen series for children. (But whoever causes one of these little ones who believe in me to sin, it would be better to have a great millstone fastened around his neck and to be drowned in the depth of the sea:Matthew 18:6). I would turn on any form of media and the only story being talked about would be President Trump -- and always in a negative light! Can't the Left give him an ounce of credit? And what about all the other significant stories the media is just ignoring? My tax dollars would be spent to the tune of hundreds of thousands of dollars to better understand why lesbians are obese. Seven out of nine Supreme Court Justices would all agree on a religious liberty case -- Colorado baker Jack Phillips. There is hope for our Republic! Public libraries in my neck of the woods -- the Twin Cities -- would have "drag story hours" with cross-dressers -- for little children. Talk about the return of the Days of Noah. The Department of Homeland Securitywould announce that it intends to compile a comprehensive list of hundreds of thousands of journalists, editors, bloggers, and folks like me. They will collect any "information that could be relevant about them." Wiccans and pagans had a scheduled gathering in Maryland. God had other ideas. He caused a flood to cancel the event. 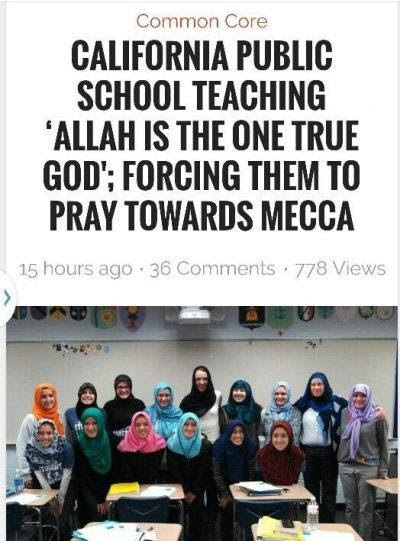 Christianity would literally be expelled from public schools but Islam would be taught and praised. The Left has gone apoplectic about the separation of kids from parents at the border but defends and even celebrates the permanent separation: Abortion. Private conversation would be at risk thanks to Alexa, Google Plus, our iPhones, and more, literally spying on us. Today's world has no secrets. I have left so much off of this "I never thought I'd see the day" list that it grieves me. You have a saturation point. I don't want to push you that far. But I suspect eve George Orwell would be shocked at the tide of our times! The Bible says there would be a day when good would be called evil and evil good (Isaiah 5:20). We are there. These happenings remind us that we're not in Kansas anymore and things are all falling into place! God is using the negative as a megaphone to say that "I am coming soon!" Look up. Our redemption draws nigh. June 14, 2018 Last Days Sign from North Korea? “When we looked at this further, we found that cutting the genome with CRISPR-Cas9 induced the activation of a protein known as p53, which acts like a cell’s alarm system, signaling that DNA is damaged, and opens the cellular ‘first aid kit’ that repairs damage to the DNA,” explains Emma Haapaniemi, first author on the Karolinska study. “The triggering of this system makes editing much more difficult.” The problem this research raises is that an absence pf p53 in cells may on one hand result in the CRISPR process being more effective, but it also makes a cell much more likely to become cancerous. NASA’s Opportunity Mars rover has gone into minimal operating mode as it rides out a giant dust storm that is blotting out the Sun. The storm, which is much worse than originally thought, is preventing the solar panels from recharging the veteran probe’s batteries, but mission control have said that NASA engineers received a signal from Opportunity on Sunday morning. One of Mars’ more unusual characteristics is its tendency to generate dust storms of incredible size. When NASA’s Mariner 9 orbiter arrived at Mars in 1971, there was a storm so great that it engulfed the entire planet and left the surface blotted out for two months. This fact is not only of scientific interest, it also has an impact of present and future missions to the Red Planet. An Iranian official recently admitted on state television that his government helped the majority Saudi terrorists on their way to commit the 9/11 terrorist attacks in 2001. This Iranian role in helping Sunni al-Qaeda commit the most heinous terrorist attack in US history was long-suspected by the American government but, until now, was never confirmed. The Palestinian Authority’s long-time chief negotiator, Saeb Erekat, has made a career of sticking to his movement’s hard-line demands, and of publicly rejecting all Israeli claims, be they legal, historical or religious. And US President Donald Trump’s had enough of him. Dissenters based opposition on ’emotional thinking with no basis in facts or logic’. The U.S. Supreme Court on Monday affirmed the constitutionality of an Ohio law that removes people from voters rolls after six years if they do not vote during that time or respond to state efforts to verify their residence in the state. …the EU and the G7 are aligning against America in the same fashion that they have already conspired against Russia by kicking them out of the G8 and changing their name to the G7. This organization, which is a tool of the New World Order crowd, has devised and implemented, through their friends at the UN, a devastating Muslim immigration problem designed to destroy France, Italy, Germany and other first-world nations whose leaders will not police their borders under the threat of George Soros. Much of Europe is destroyed and now the G7 is trying to ensnare both Russia and the United States in the same trap. When your personal data turns bad, whether real or imagined, China will basically ex-communicate you from the good life, and they have already done this to tens of millions of detractors. This is as effective as Tiananmen Square slaughter, but was implemented slowly so people never had a clue what was happening to them. Now, they are trapped, shunned, penalized and in some cases, destitute. …Prime Minister Binyamin Netanyahu released a video Sunday in which made an “unprecedented offer” to the Iranian people to help solve Iran’s water crisis by creating a Farsi website with detailed plans on Israeli water conservation technologies and strategies. Die Linke, a German far-left party called on congress for open borders and legal escape routes for refugees, DW news reports. In Guatemala, woman searches for 50 relatives buried by volcano Eufemia Garcia watched in horror as Guatemala’s Fuego volcano sent scalding ash and gas surging over her home a week ago, burying her children and grandson among 50 of her extended family. She has been searching for their remains ever since. A candidate running for a seat in the Mexican Chamber of Deputies was shot dead just minutes after taking part in an electoral debate. Islamic terrorists have killed 605 people and maimed an additional 760 so far during the ongoing holiest month for Muslims, Ramadan, a Breitbart News count shows. EDITOR’S NOTE: Former 2-time president Barack Obama is holding court, but not publicly. From his compound located deep in the heart of the World Wildlife Fund building in Washington’s elite West End district, Obama has officially started grooming candidates he thinks will be a ‘Trump Killer’ in the 2020 elections. To date, Obama has refused to comment on any of these meetings or even acknowledge they are even taking place. On another front, Barack and Michelle Obama have signed a deal with Netflix to make social justice propaganda ‘documentaries’ through their nascent Higher Ground production company. The Obama shadow government is in place and fully functioning. Nasrallah said that if Israel will continue the occupation a great war will come. He also stated that nothing on earth – except a request from the Syrian government, will make Hezbollah pull forces out of Lebanon. The United Kingdom merely banned Hezbollah’s so-called military wing in 2008, but now all of the terror group will be out of bounds. With the 2018 hurricane season already underway, FEMA is scrambling to hire more people who are willing to depart at a moment’s notice for assignments that can last months at a stretch. Internal documents obtained through a Freedom of Information Act request show the agency’s disaster-response force is understaffed by 26 percent. And as last year revealed, many of those who sign up don’t always respond when needed. Thousands of homes in Colorado are under threat from growing wildfires in the state, which have also forced a number of evacuations and closures. In Summit County, about 1,400 homes have been evacuated and more than 1,000 could be in danger in the path of the Buffalo Mountain Fire. It’s one of six wildfires burning in Colorado. Leaders representing six of the world’s most powerful economies committed to addressing climate change and environmental crises at the conclusion of this year’s Group of Seven (G7) summit over the weekend. But the United States made no such agreement, as President Trump doubled down on both his opposition to international climate efforts and his support for fossil fuels. A wildfire blazing in southwestern Colorado continues to grow Monday after more than doubling in size over the weekend amid dry, gusty conditions. Due to the extreme fire danger, the U.S. Forest Service announced Monday it plans to close the entire, nearly 3,000-square-mile San Juan National Forest to the public. The deadly polio virus has returned to Venezuela 30 years after being eradicated, as the country’s health care system struggles under a nationwide economic crash. The Justice Department announced Tuesday that its Internet Crimes Against Children task force busted over 2,300 online sexual predators. President Obama and Israeli Prime Minister Benjamin Netanyahu The U.S. government was informed of the overtly political agenda of OneVoice Israel and OneVoice Palestine – to defeat Israeli Prime Minister Benjamin Netanyahu – but gave the groups American taxpayer money anyway. Rescue workers in Guatemala have been tirelessly searching for survivors within the dark and grey blanket of left after Guatemala’s Fuego volcano erupted near the capital. A pro-life group has persistently sought to speak with California State University at Long Beach about its stance on an abortion bill that may soon take effect at all California public universities, but the university has refused to respond. Kasie Hunt Badgers Jim Jordan Over Tough Immigration Policy — Is It A ‘Christian Approach’? June 7, 2018 Taking a look at Mark Taylor's Trump prophecy, is it coming to pass?